Live the life you love at Hilton Head Lakes. Stretch your legs with a stroll along miles of lighted walking trails. Spend a sunny afternoon on our 155 acres of navigable lakes. Practice your golf game on our challenging, Tommy Fazio-designed championship course. Explore the joys of Lowcountry lakefront living. Count egrets and herons as your next-door neighbors. Take in the salty ocean breeze; a constant reminder that you’re just minutes from the beach. Packages start at $149. We invite you to enjoy the Historic Savannah Package. Visit the majesty of the Lowcountry. 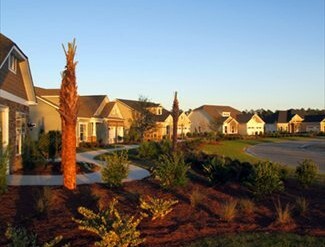 Our beautiful waterfront community is just 15 miles from the resorts of Hilton Head Island and the beauty of historic Savannah. But with more than 452 acres of nature preserve, in many ways, it seems worlds away. *149.00 package is based on current offering, seasonal rates may affect final pricing. Pricing based on double occupancy taxes not included. Please contact Hilton Head Lakes staff for details. Package only available for first time visitors and guest of Hilton Head Lakes. Offered on a first come first served basis, limited availability. Restrictions may apply. Subject to change without notice. The only way to appreciate ALL that Hilton Head Lakes has to offer is to experience it for yourself. Schedule your visit by booking a Discovery Package with us.